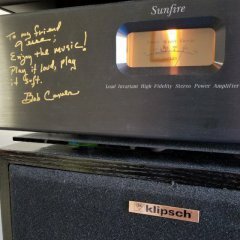 One of my K-8-K KG-4 woofers has a tear in it right where the cone meets the surround and not sure if i should attemt a repair or not. Normally i would just recone or replace but since its an old model and these are my personal speakers i feel a repair attempt is warranted. Not to offend but for the fact that you can pick up replacement woofers for about $35 on Ebay I would be leaning to replacement. Most of my answer is based on the different surround shape of these speakers. They are concave and there are very few woofer repair kits that work that way. 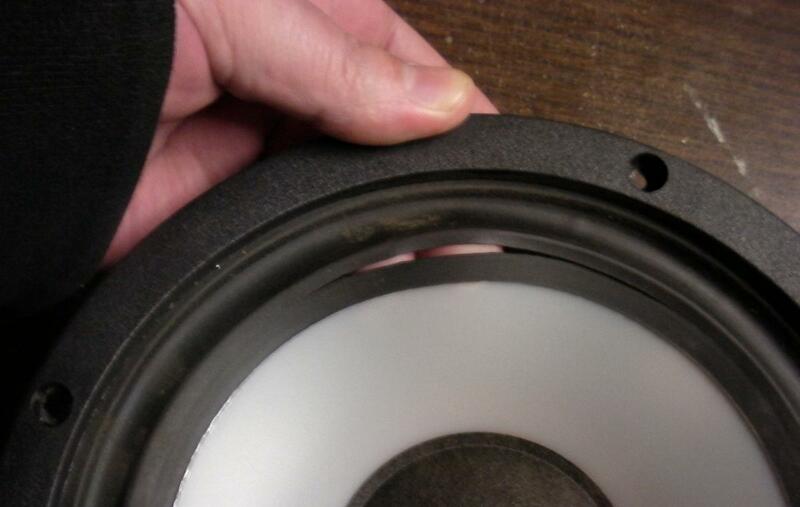 I used to have some Technics SBX-700 speakers that had honeycomb woofers with concave surrounds and a speaker repair shop near me would not even attempt to replace the surrounds on them. If you are going to try to repair it I would use a silicone gel repair on the rear of the surround and let it set to see how that would work. That way the repair is basically hidden and cosmetically they would look the same. No offense taken but I'm in no way a wealthy man, health problems keep me working at home. I thought about a bicycle tire repair kit but thought it may add too much weight to the cone. Even if a replacement is ultimately required, no harm trying a repair first. Is it possible to post photos of the front and rear showing the tear? After closer inspection it looks as though the surround has hardened with age along with the other top woofer in the other side, probably not worth repairing after all. I guess i will continue my search. Anybody have the T/S parameters for these ? Now i have 2 sets of speakers with bad woofers. Everybody loves a good picture. Thanks for the pictures. A successful repair seems unlikely, but what do you have to lose? The old surround is too stiff, i would need to replace the whole thing. I looked into surround kits too but the measurements are off. Just going to replace them with something, seems like the only option. New 8" woofers are cheap but i may be able to get some used as well but now i have no tunes at all, not bringing the Chorus II's out to the shop and don't want to take them out in the house in fear of the cat clawing up the grille material or passive. 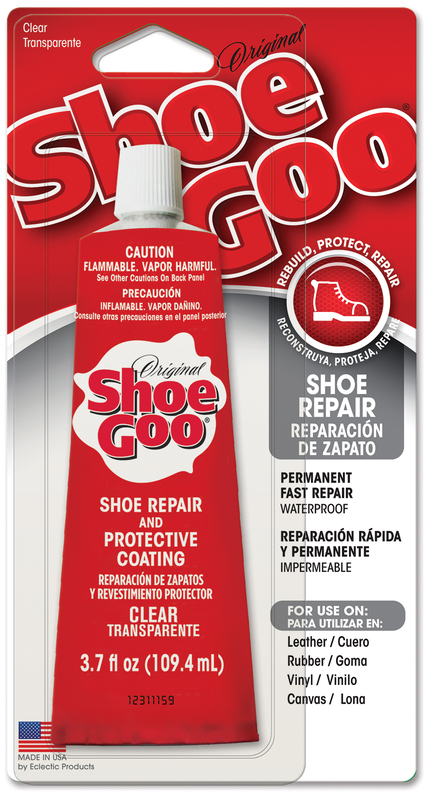 Shoe goo works really well for small repairs. I've even seen people use pieces of a dollar bill to use as a patch, nice and light weight and flexible. Its easy if you use a popsicle stick and spread a thin coat on both sides of the tear. Let it set up for 24 hours and it should be good to go. It might be a K-8-K. You can look around the internet. Love that stuff. good for more than just shoes. Found a used woofer for shipping cost luckily. K-8-K is correct but the ones on fleabay look abused. Found a used one, a forum member is giving me a woofer for cost of shipping but i may need another in the near future. Goop! 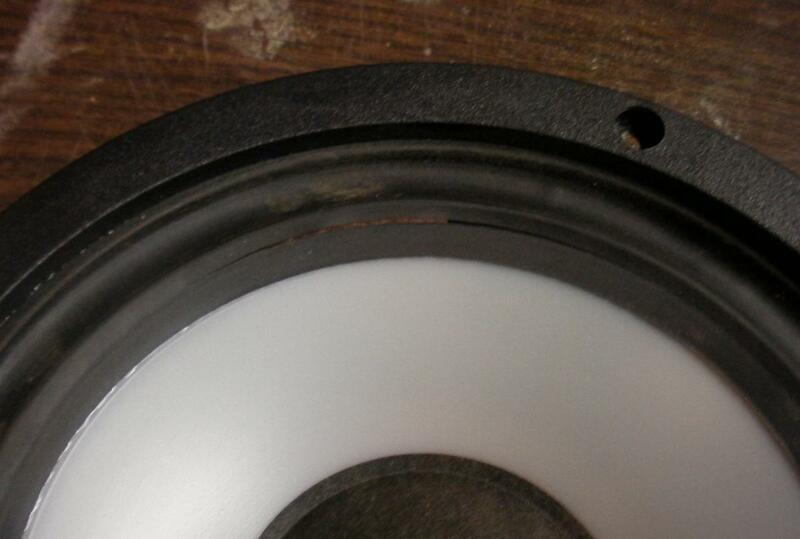 (shoe goo) is great stuff for this kind of repair, don't let it get onto the roll of the surround though. I will give the Goop a whirl while i wait for the driver to arrive, holidays are the worst time to ship stuff. If I were repairing with shoe goo I'd try a patch made of silk, like from an old tie. It would take some careful cutting to get an oblong shape. People use cigarette paper to reinforce patches on the middle of the diaphragm but that is probably not strong enough for the surround. Disclaimer: I haven't done it myself. If Dennis and WMcD green light the Shoe Goo, it must be worth a try, or tie or Zig-Zag. Gooped up the cone last night, hope it holds. Nothing but goo was used, all the way around the front kinda thin with a toothpick as it was all i had and a light coat just along the crack in back. Kept it thin & light but even, nothing on the surround. Now the question is anything i could use to make the rubber surround more supple ? There is much more resistance for sure with the hardened rubber, even poking it lightly you can tell there is a big difference. After thinking a bit. The issue may be that if the surround failed in one place, it is going to fail again in another place. There was a ridge at the end of the cone where you could see it was starting to fail on the surround, i did this area with the goop also all the way around. Going to give the KG-4's some light playtime today, i think the goop should be cured enough for light use anyways. I have read in a few places now that silicone spray may be used to soften up the hardened surround rubber so i will give that a try, 99% sure the stiffness in the surround was the cause of the crack.